The Fender Custom Shop 6.3mm Mono Straight-Angled Jack Cable Tweed 3m is a custom-designed cable featuring ultra-quiet, commerical-grade connectors. Designed specifically for live performances, the Custom Shop Tweed Cables are engineered to avoid twisting and kinking so they can always deliver the best sonic balance between performance and equipment. An extra-thick braided jacket offers ultimate durability and a 95% copper coverage shield provides less noise interference. Very good low noise cable with a tweed braid. Angled jack makes it easy to play my LP sitting, but also it matches the goldtop color. I can not believe how good this cable is. very sturdy and well build. sounds very good. very little noise. I would expect in this price range B quality and no name 'mark'. and this is Fender!! 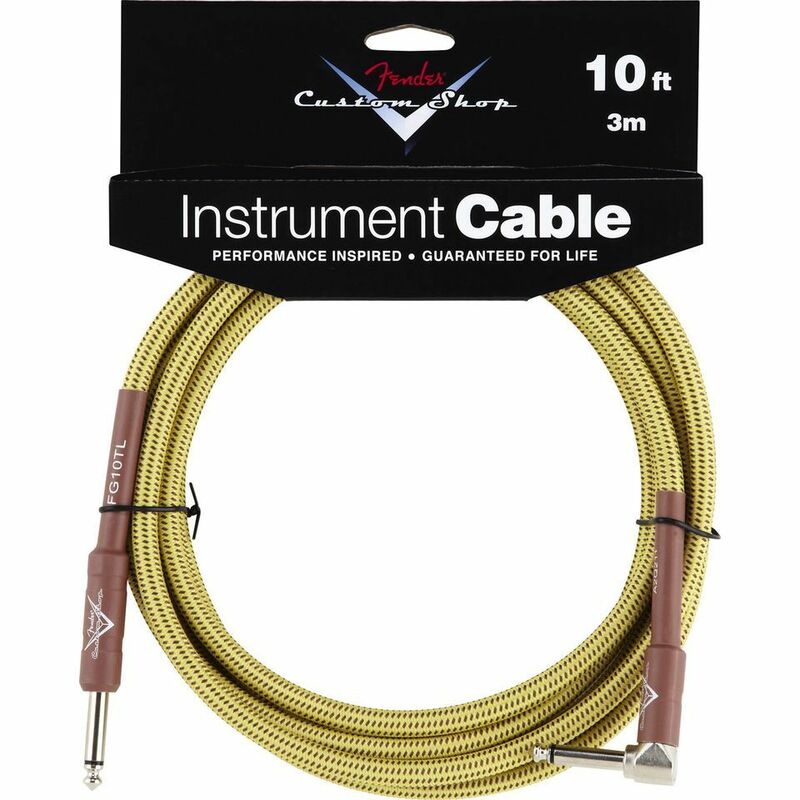 Great cable, ultra noise reduction and suitable for V guitars so you can play them on your lap! Due to its curved point when youre down on your chair it doesnt hurt on your legs anymore like a straight pointed cable would do, besides theres no danger on damaging the cable itself. Great construction and noise reduction, suitable for recording on studio!